We’re going to look at how simple it is to change the suspension on your Hennessy hammock. While I’m sure many people may find the stock suspension fine, I personally think there are much better options. These alternatives can a) provide for faster setup/takedown and b) reduce the overall weight of your hammock setup. I had initially converted my Explorer Ultralight to using ring buckles which greatly improved the speed and simplicity of my setup. However, I wasn’t really ready to remove the stock suspension and ran both. This gave me the ability to go back to the stock at any point but added to the weight. We’ll look at changing out to whoopieslings in this article but the same techniques can be used for ring buckles also. The first step in replacing your stock suspension is to carefully cut the zip tie securing the tapered cover on either end of the hammock. 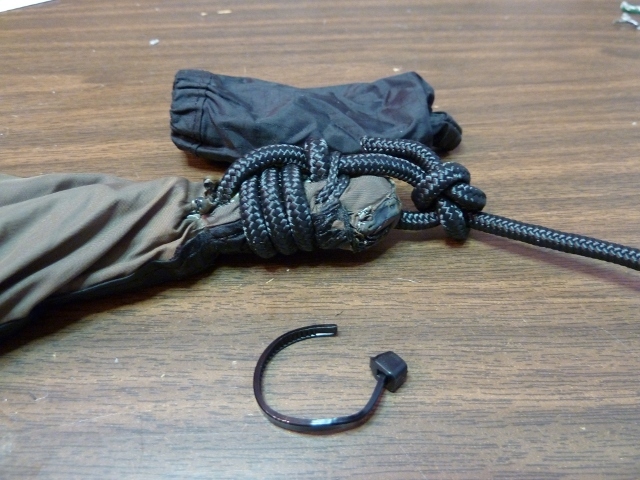 Once you’ve cut the zip tie slide the cover off the stock rope. After removing the cover it might be a good idea to take a picture of the stock wrapping in case you want to put it back in the future (maybe if you decide to sell your hammock). 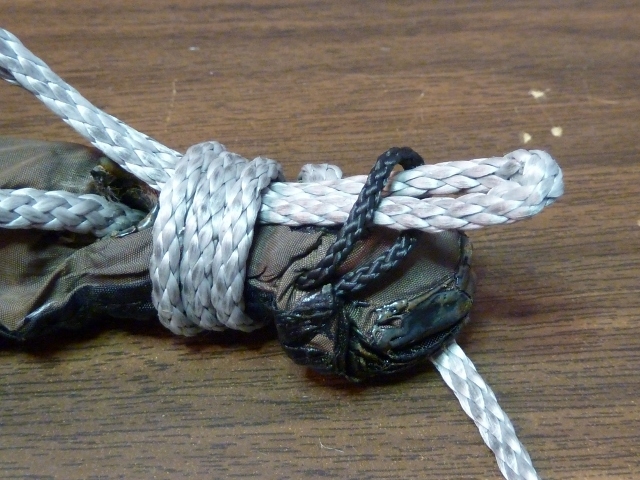 Carefully untie and unwrap the stock rope. 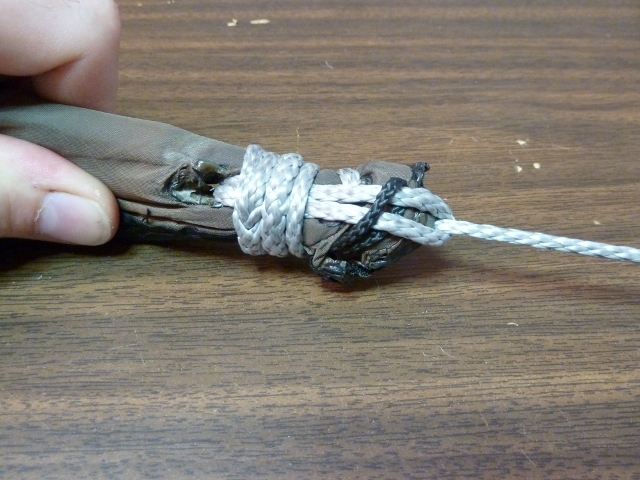 You may need to use a small screwdriver or needle-nose pliers to loosen the knot. Note that the rope goes through a small loop at the end of the structural ridgeline. 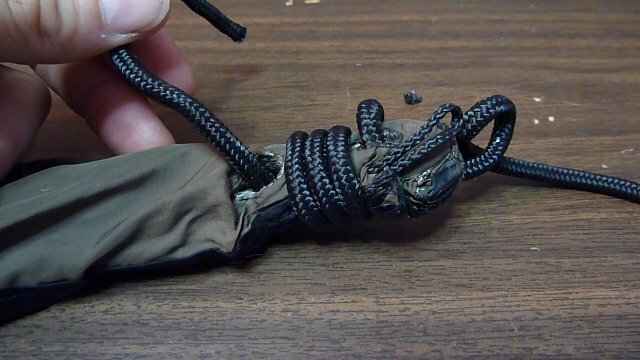 Pull the ridgeline out a little so it doesn’t slip inside the hammock and cause you a headache trying to pull it back out. With the rope removed you’ll see that the Hennessy has two holes we’ll be using for our new suspension. The holes in the hammock end are small and I find it easier to use some small wire to pull the new suspension through. In this example I’m using floral arrangement wire to pull the fixed eye of my whoopiesling through the end hole. 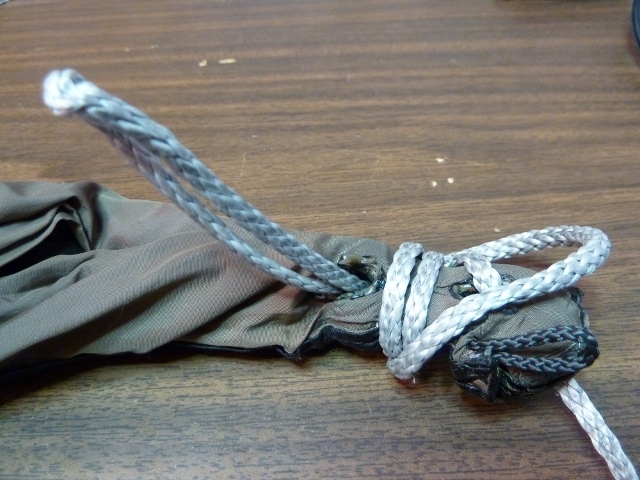 Make 2-3 complete wraps of the new suspension around the end of the hammock. With your wraps complete pull the end of the new suspension through the inside hole. Feed the end of the suspension under the wraps to provide a stronger hold. Don’t forget to run the new suspension through the eye of the ridgeline. 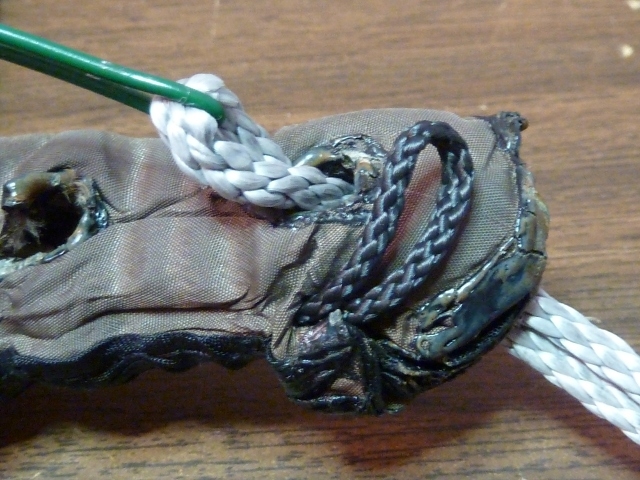 Feed the adjustable eye of the whoopie through the fixed eye and adjust the wraps so the fixed eye is just at the end of the hammock material. You may have to make several adjustments to get it right. 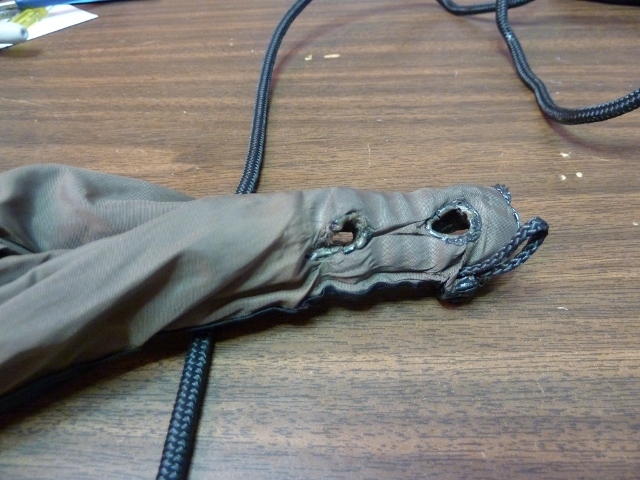 Replace the zip tie in the tapered cover and pull the suspension through to put the cover back in place. Secure the zip tie and remove the extra material after tightening it. I used two different colors (black and silver) to differentiate between the ends (head and foot respectively). That’s all there is to it. As you can see it’s very simple and pretty painless.